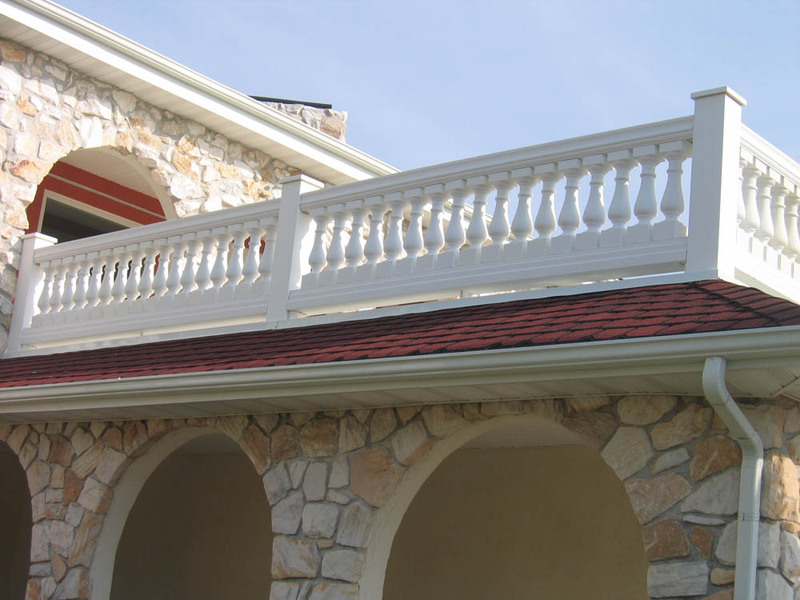 Our balustrades are available in various sizes in each of our material offerings shown below, most with lifetime warranties and the best pricing in the industry. 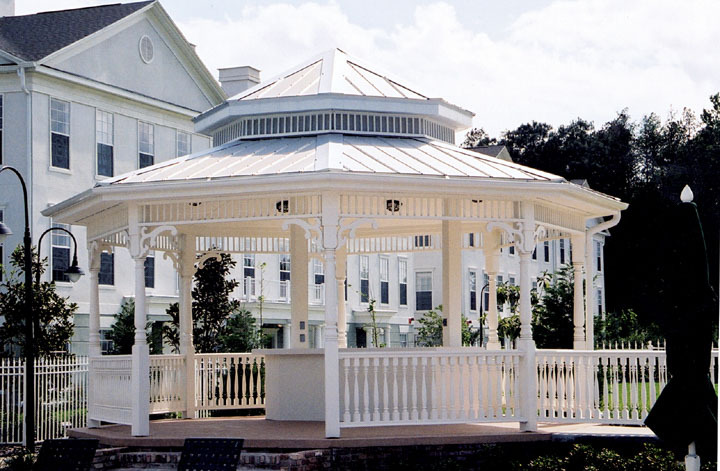 All are structurally reinforced and pass all national residential & commercial building codes. This is a very natural exterior grade balustrade which ships with a factory applied PRIMER & PAINT so there is no need to paint unless a color other than white is desired. 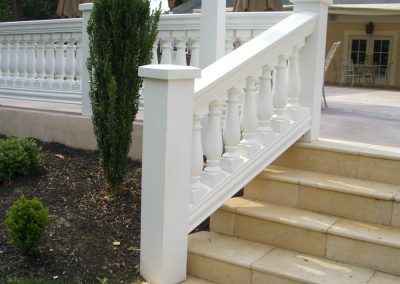 We also have the ability to pre-finish urethane any custom color of choice as well as in 8 available “granite” finishes. 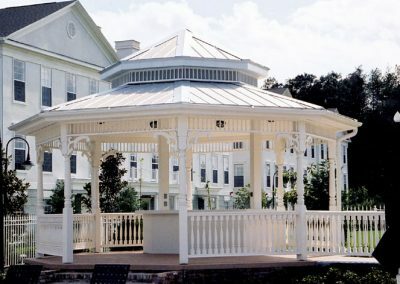 Urethane is a good option for those wanting the natural paint-grade appearance of wood but without the constant maintenance involved with wood. For this reason, urethane is the most common choice for those customers replacing an existing rotted wood system with a new synthetic rail system. 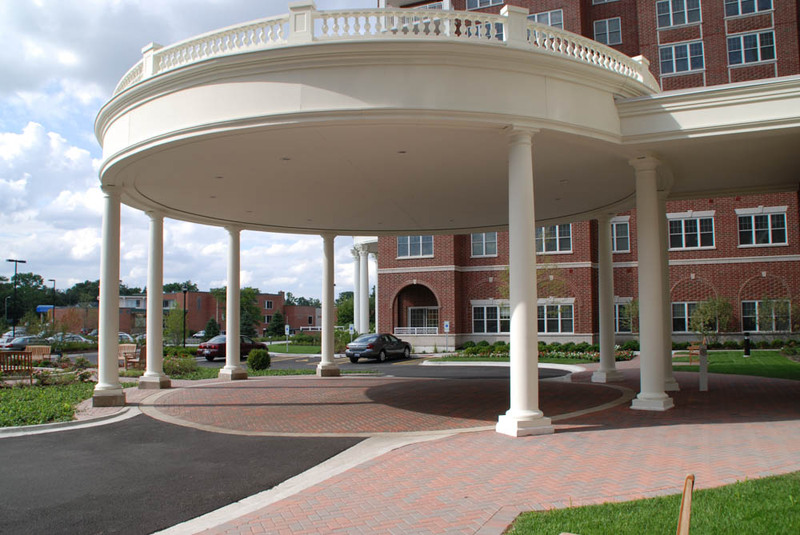 Urethane is also a popular option because it is available in a wide range of styles & sizes and can also be purchased with custom railings for any curved or radius application you may require. 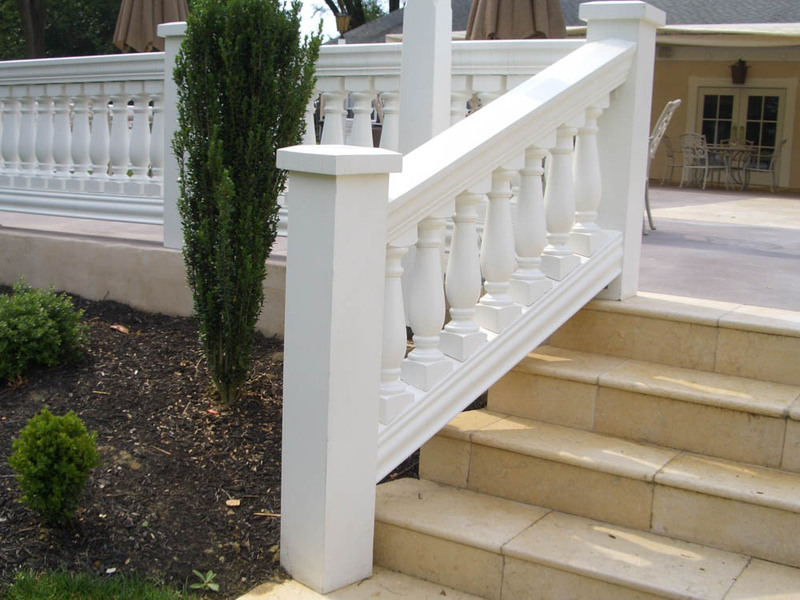 We can also copy/replicate your wood baluster in urethane if you need to replace a system in a synthetic material but also need it to match exactly. 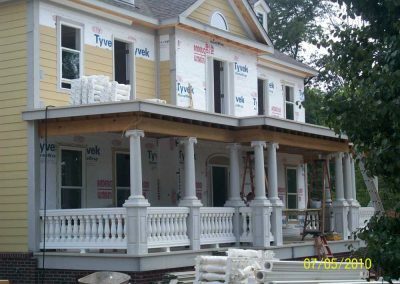 This is a hybrid system incorporating the same high-density urethane balusters with FIBERGLASS top rails, bottom rails, and newel posts. 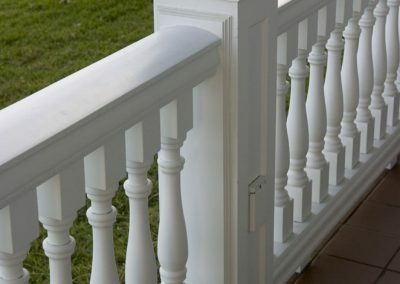 The benefits of this system are (1) all the baluster styles are priced exactly the same so you have numerous style options to choose from to fit your exact tastes/need, (2) the railing is available up to 16’ in one length (urethane does not come in any length over12’) which allows you to be able to use greater length section spans without the need of additional columns or posts, and (3) all parts are in stock/ship within 2-3 working days. 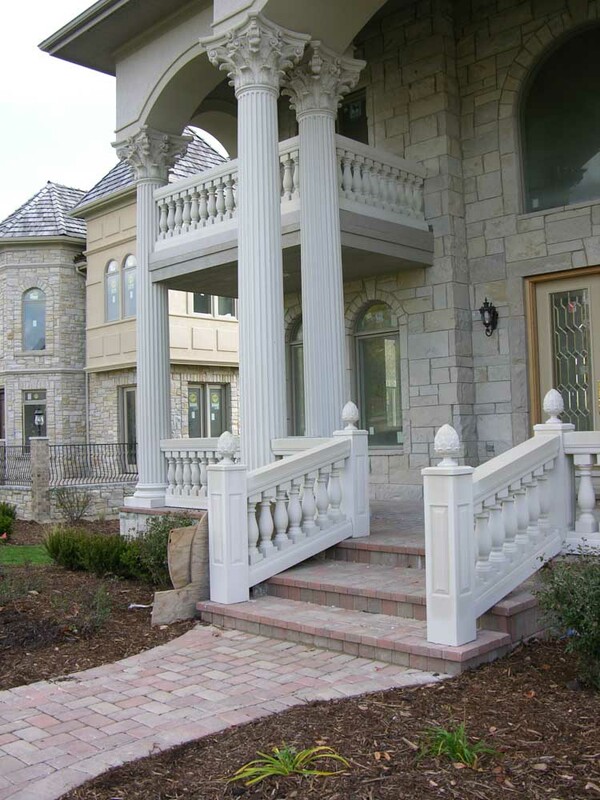 This is a man-made cast stone system available in different “natural” earth tone colors including Limestone, Sandstone, Cliffside Grey, Cream, Off-White and White. The material IS the color you choose throughout, NOT a coating applied to a different material. Because of this, if the product is ever chipped or scratched after installation is complete, you do not have to worry about this revealing a different color or material. This system, like the urethane, is available in numerous sizes/styles with some of the larger rails able to span up to 16’ just like the FiberThane system. 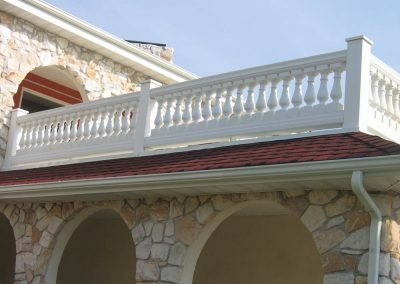 The polymer-stone is for those people wanting the look/feel of real stone but without the same high cost found with marble, natural limestone, etc. 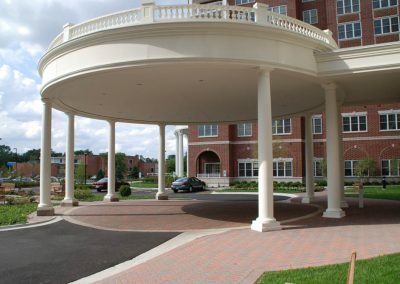 It is, however, the most expensive of all the railing options we offer. 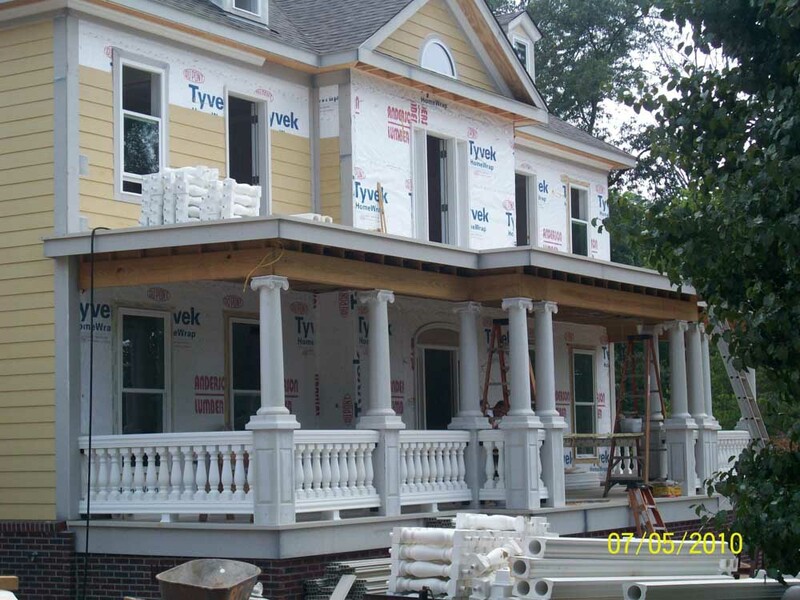 Wood porch spindles & balusters are an essential part of your Victorian porch. 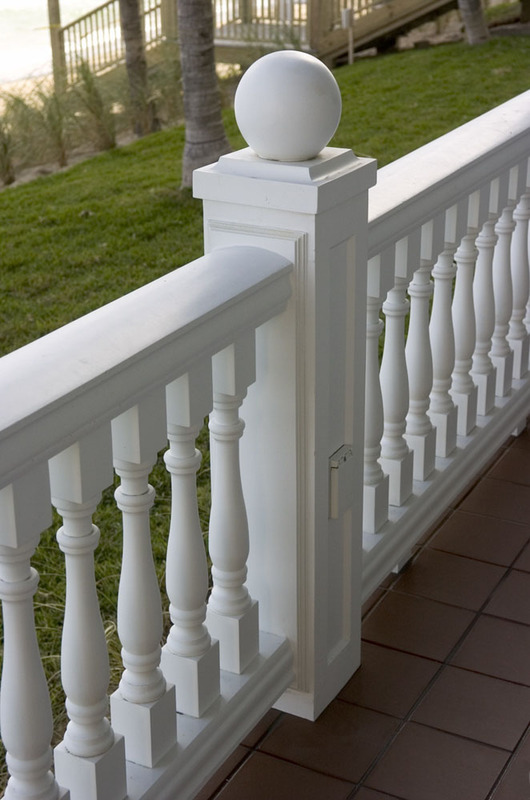 Turned Spindles, Square Balusters, or Sawn Balusters are the centerpiece of your porch or deck’s exterior balustrade. 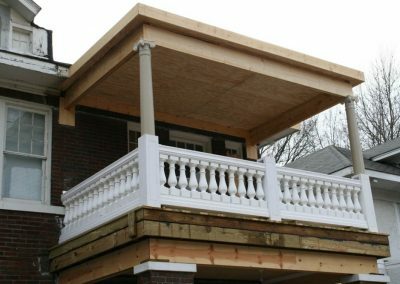 Available in Cedar or Fir, primed or unfinished. 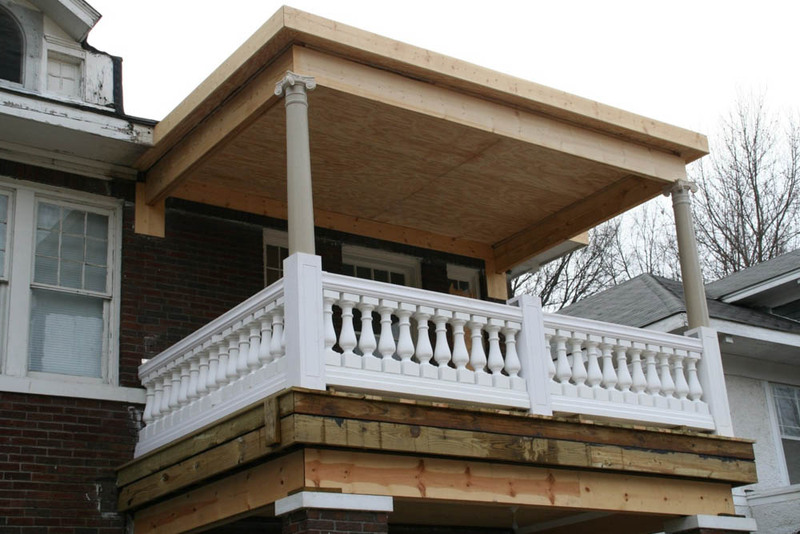 Perfect for new construction as well as porch renovations and restorations. 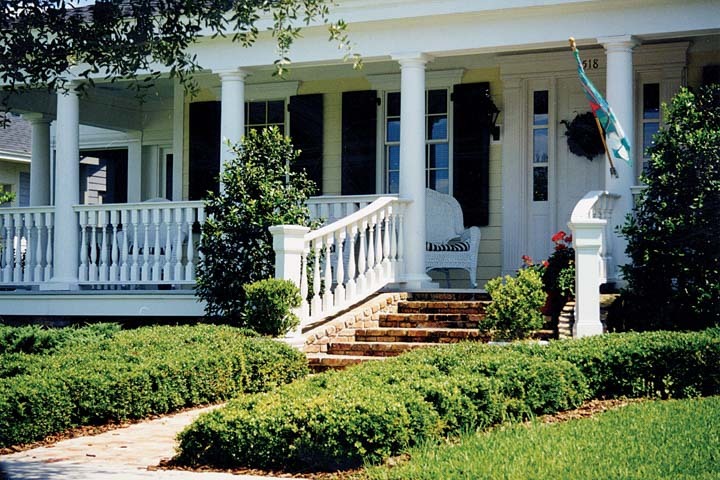 Use with matching premium exterior porch railings made of clear Port Orford Cedar. Width: If your spindle has square portions, width of the square(s). If completely turned, then the diameter of the spindle. Design: give us some idea of the spindle design. Example: square on each end and turned in the middle. Email a picture for a more accurate quote. With the above information, we can immediately give you an estimate. Then if you’d like to move ahead with the order we can reproduce your spindle. For an exact match, send us an original to our address. If “close” is good enough, then a picture and dimensions will do.